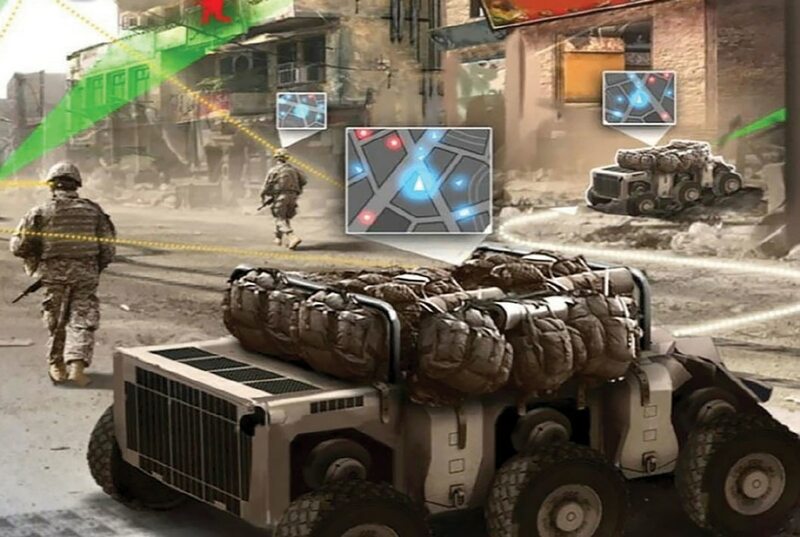 In the coming months, the Army will select one of four autonomous robotic systems that can carry up to 1,000 pounds of gear for the infantry squad and give them to two brigade combat teams for testing. The Squad Multipurpose Equipment Transport has been under testing for some time but not within operational forces. Top leaders for both robotics and autonomous vehicles talked with media following a week-long robotics competition that included college and high school students and industry experts. The event was part of the Maneuver Force Experimentation at Fort Benning, Georgia, this past week. Officials didn’t say which BCTs would receive the vehicles. Col. Travis Thompson, who oversees the Army’s Training and Doctrine Command capabilities for soldiers, said that the competition to provide the supply-hauling vehicle began with 10 companies. The list is now down to four. Details of the vehicle currently being tested were not discussed during the event, but leaders said that it could carry up to 1,000 pounds of gear for an infantry unit on patrol, reducing the load on the individual soldier for items such as food, water, batteries and ammunition. Don Sando is the director of the Capabilities Development and Integration Directorate and deputy to the commanding general of the Maneuver Center of Excellence at Fort Benning. He said the selection will happen in the coming months. He and others on the panel declined to identify the companies in competition for the vehicle production. Col. John Pirog, director of the Maneuver Battle Lab, said that soldier-borne sensor systems are also expected to be fielded this year. The sensors are “nano” drones that can fit in the palm of a soldier’s hand and fly quick, over-the-horizon missions to give soldiers a view of what to expect before entering an area. A little farther out is the third-generation FLIR technology, Pirog said, which will give soldier a more detailed view of the terrain at much farther ranges. FLIR stands for Forward Looking Infrared Radiometer, which gives viewers a thermal sight or heat picture of what they’re viewing.